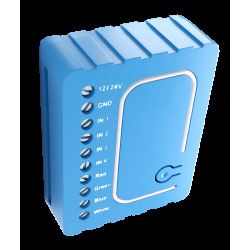 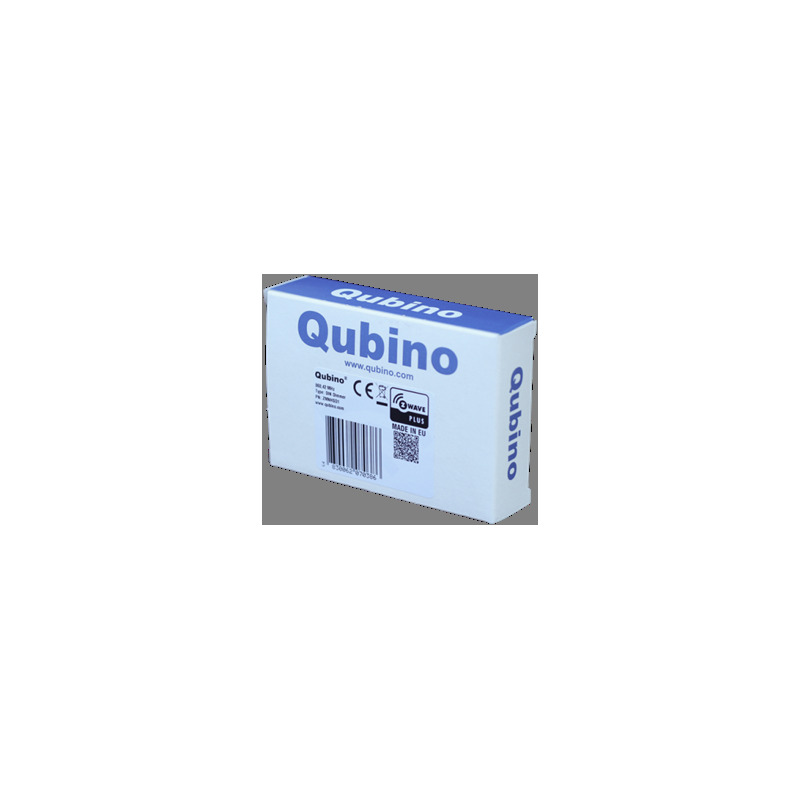 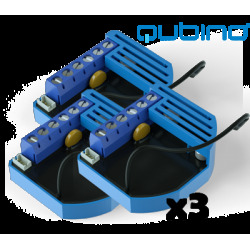 The Z-Wave controller, Qubino DIN Dimmer is a dimmer for DIN rail installation for light bulbs or fans. 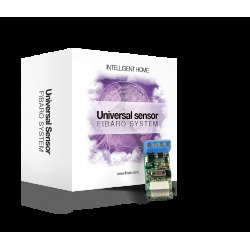 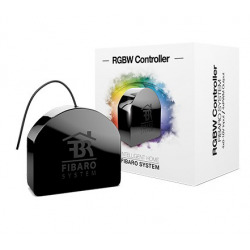 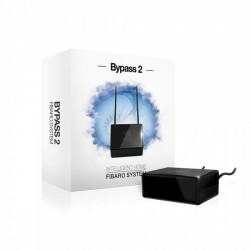 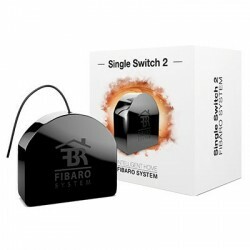 You can control it remotely through the Z-Wave network or through wall switches. 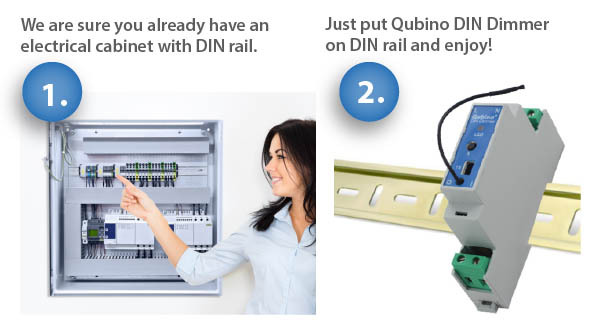 The Qubino DIN Dimmer is a dimmer mounted on DIN rail, ideal for remotely controlling and measuring the energy consumption of bulbs or fans. 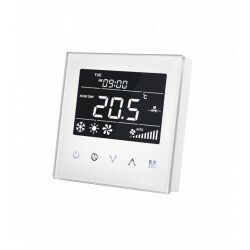 It also supports the connection of a digital temperature sensor. 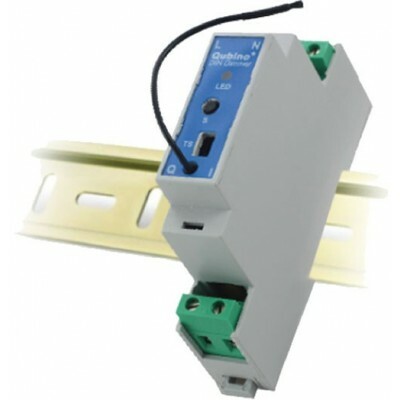 The dimmer Z-Wave Qubino DIN Dimmer is a module for DIN rail that occupies less space than any other module for box with which it is compared to any other competitor and fit easily in less space than it seems in an electrical box with DIN rail . 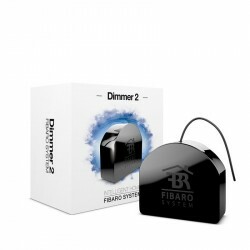 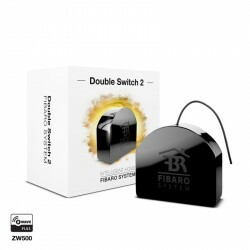 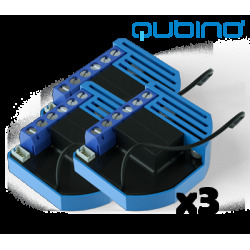 The dimmer Z-Wave Qubino DIN Dimmer , makes measurement of electrical consumption of the connected electrical device and of itself, when it is in "standby" it only consumes 0.7 W.
The Qubino DIN Dimmer , can operate through a wide range of temperatures from cold -10ÚC to suffocating 40ÚC (14Ú 104ÚF). 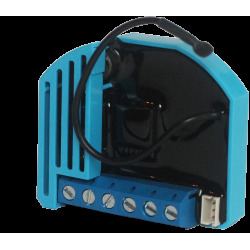 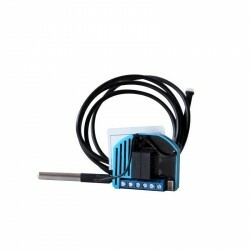 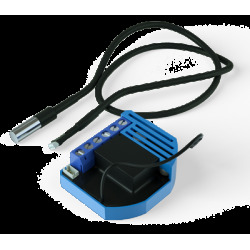 It supports the connection of a digital temperature sensor, which is also useful for creating complex scenarios. 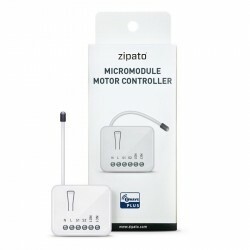 Each module also acts as a repeater in order to improve the range and stability of the Z-Wave network. 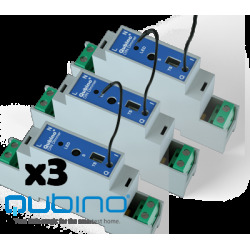 The Qubino DIN Dimmer module occupies a smaller volume than comparable modules of any other brand and fits easily on any DIN rail. 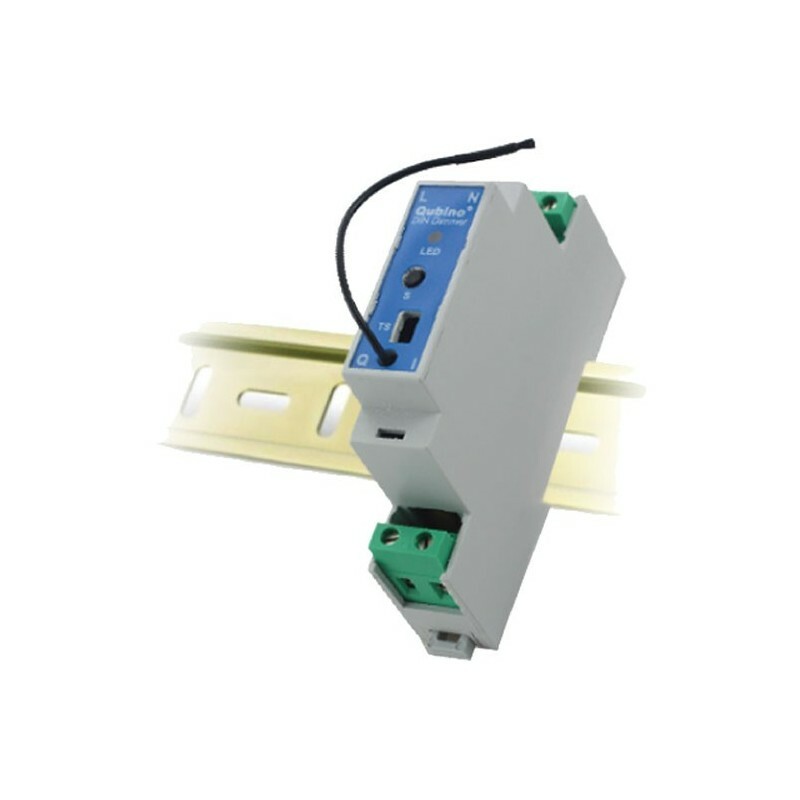 The installation process, tested and approved by professional electricians , is as easy and convenient as any other rail module. 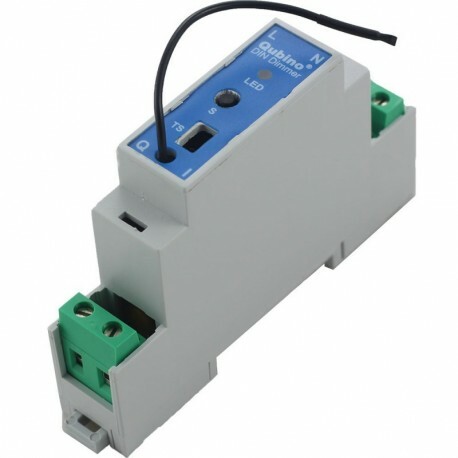 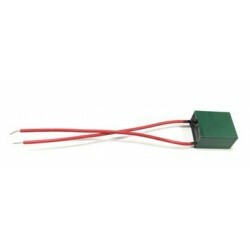 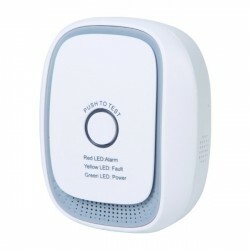 This Z-Wave module is used to control and regulate lamps or to control the speed of a fan. 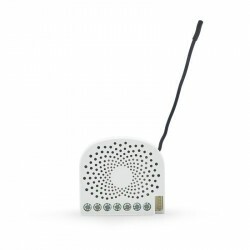 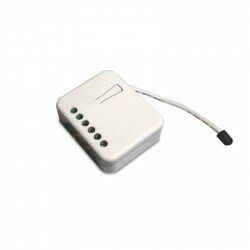 It can be controlled either wirelessly (without wires) through the Z-Wave network or through a wall switch connected to it. 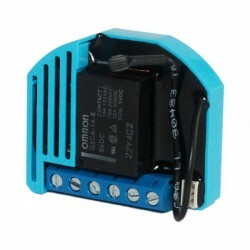 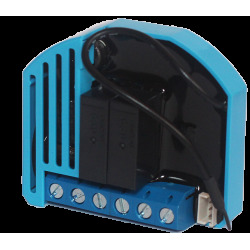 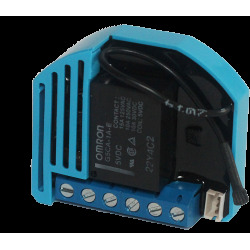 The module is designed to be mounted inside a cabinet or electrical rack on a DIN rail. 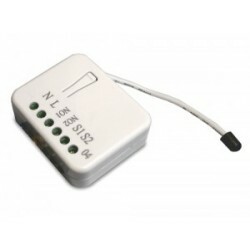 It also measures the energy consumption of the connected loads. 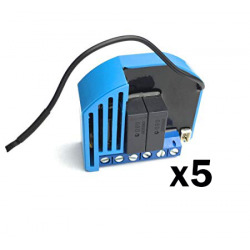 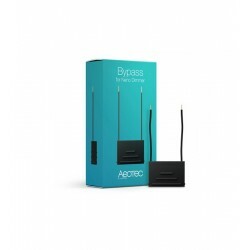 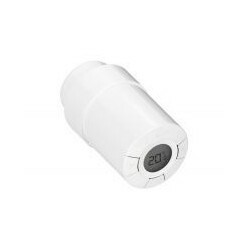 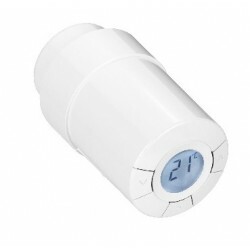 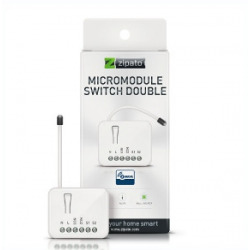 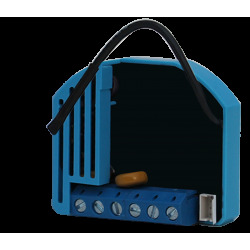 It also has an input for the connection of a temperature sensor that can be purchased separately. 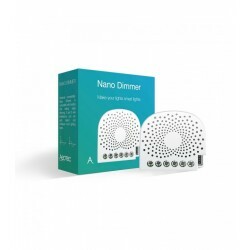 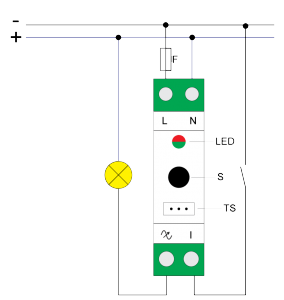 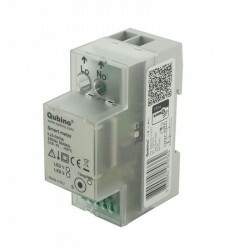 The Qubino DIN Dimmer is also designed to act as a repeater to improve the range and stability of the Z-Wave network. 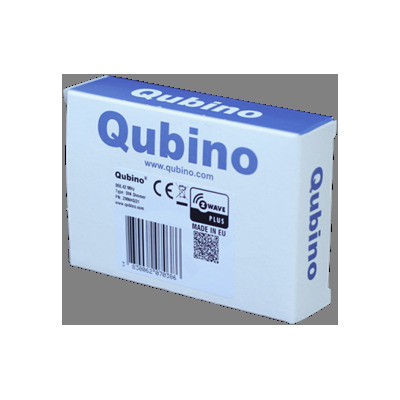 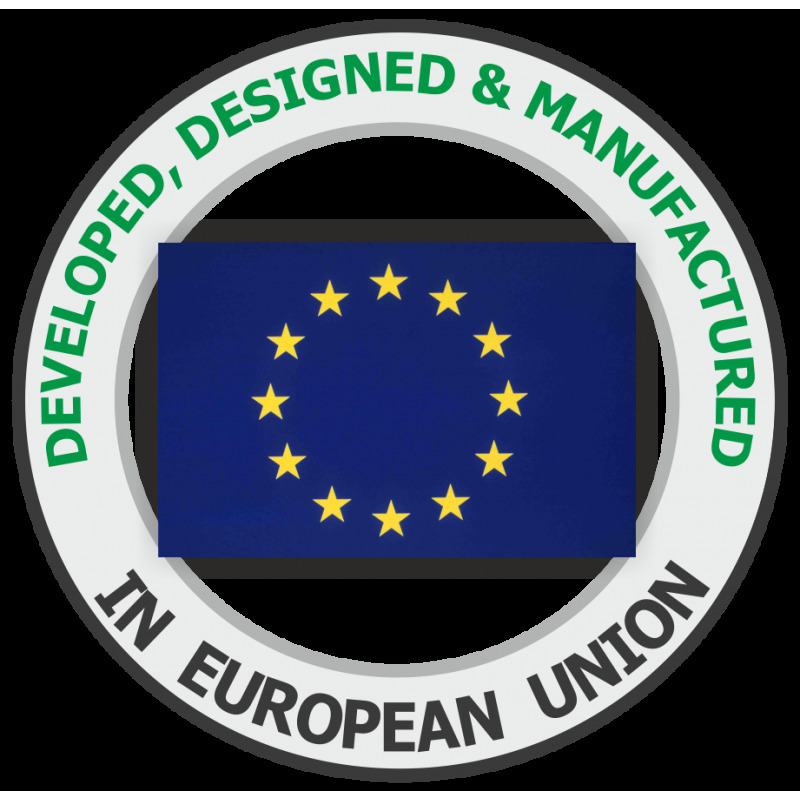 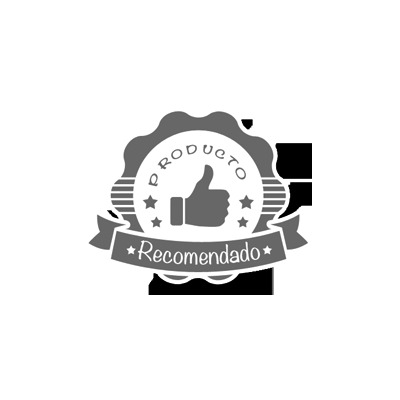 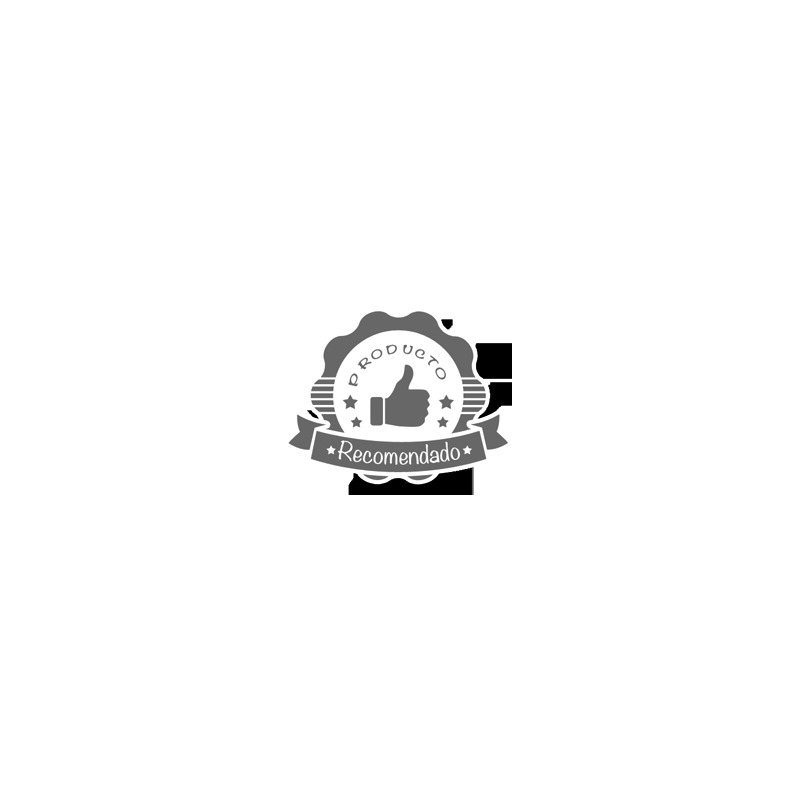 Finally, it should be noted that the brand QUBINO has established strong commitments in quality and sustainability: the high performance components have been carefully selected. 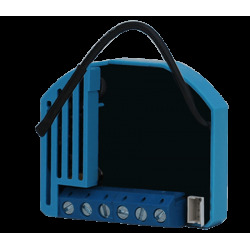 Multiple quality control tests were also carried out on the module to ensure maximum durability (tough enough to operate at temperatures from -10 ° C to +40 ° C).